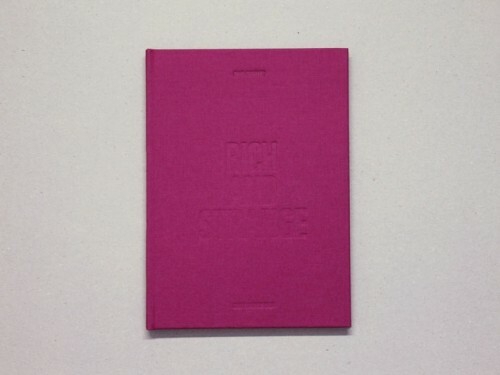 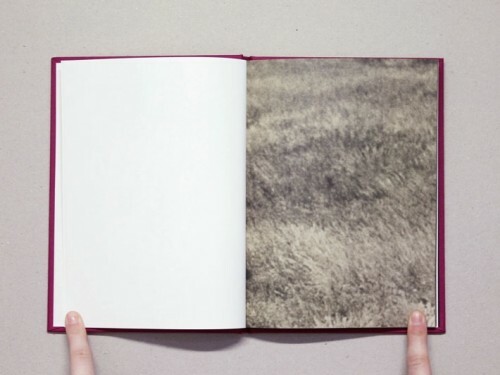 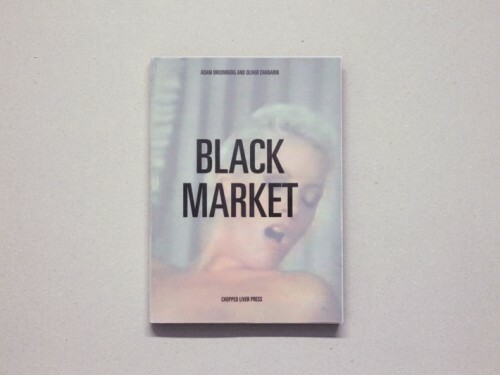 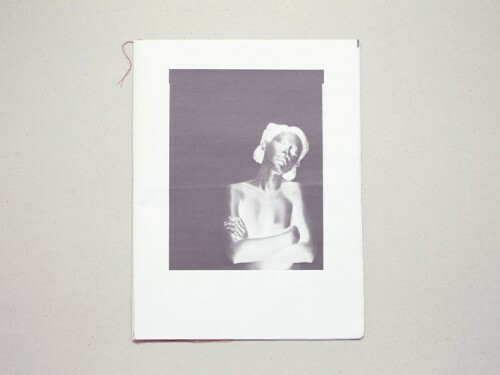 Chopped Liver Press was founded by artists Adam Broomberg & Oliver Chanarin to publish limited edition books and posters. 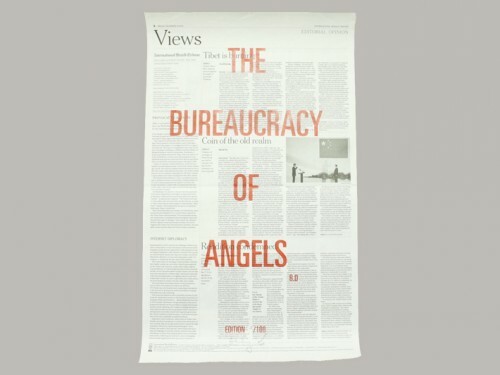 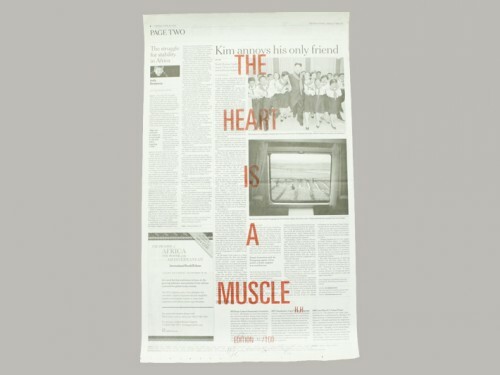 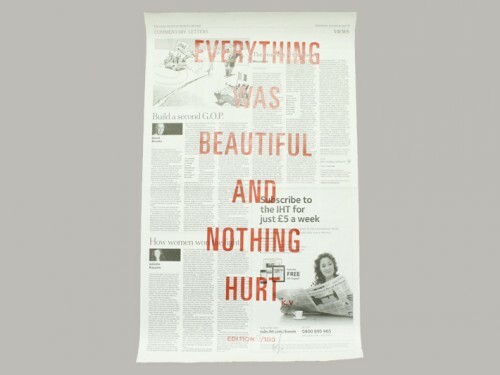 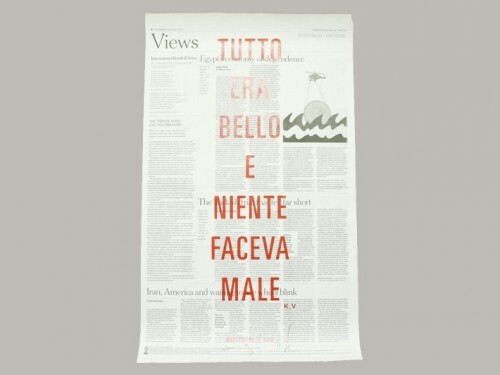 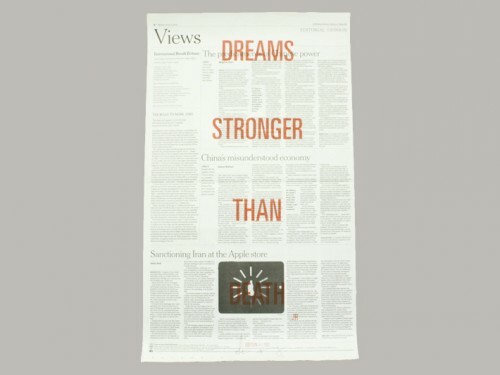 Their posters are made from selected pages from the International New York Times, and hand-printed by Broomberg & Chanarin in their East London studio. 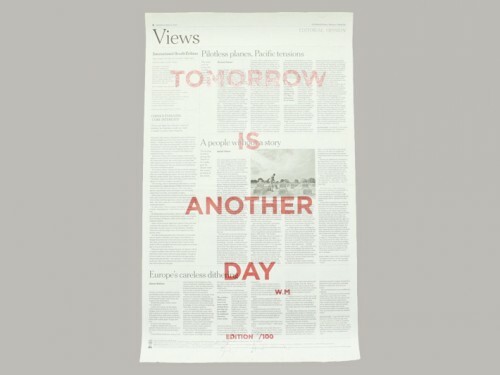 Each group of 100 posters features a different quote chosen by the artists; a chronology of their influences and ideas.